Albert's Awning & Upholstery Inc. 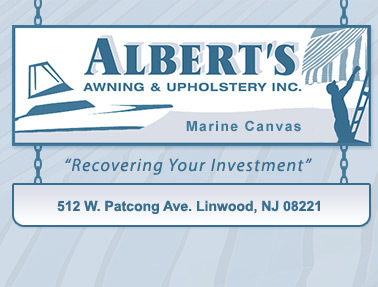 Since its establishment in 1972, Albert's Awning and Upholstery Inc. has been offering quality products and services to its customers along the southern New Jersey coast. Albert's has been a model of local business and is dedicated to customer satisfaction and product reliability. 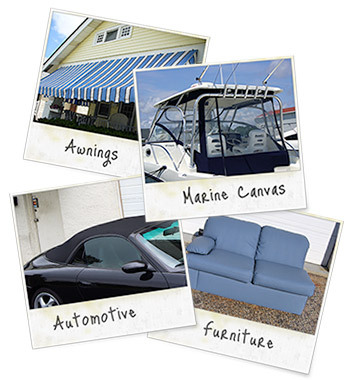 The Albert's Awning and Upholstery Inc. name is one you can trust at the South Jersey Shore. Skilled in the traditional craft of upholstery, Albert's specializes in custom awnings, boating canvas, furniture recovering, auto tops, and auto interiors. Albert's is dedicated to providing you with excellence in service and quality as they use the latest developments in fabric technologies to reduce the wear and tear of fabrics from weather conditions and everyday use. Offering a wide variety top quality fabrics and styles, Albert's is dedicated to providing you with a durable finished product that satisfies your aesthetic and functional needs. Albert's has served the Atlantic and Cape May counties for nearly four decades. Albert's has longstanding relationships with many local marinas and will work in conjunction with your boat maintenance provider. We look forward to seeing you soon! *In order to process all requests, we require that all service dates be scheduled at least two weeks from the date submitted.